The SEC’s cyber unit has filed its first complaint, and it’s a good one. 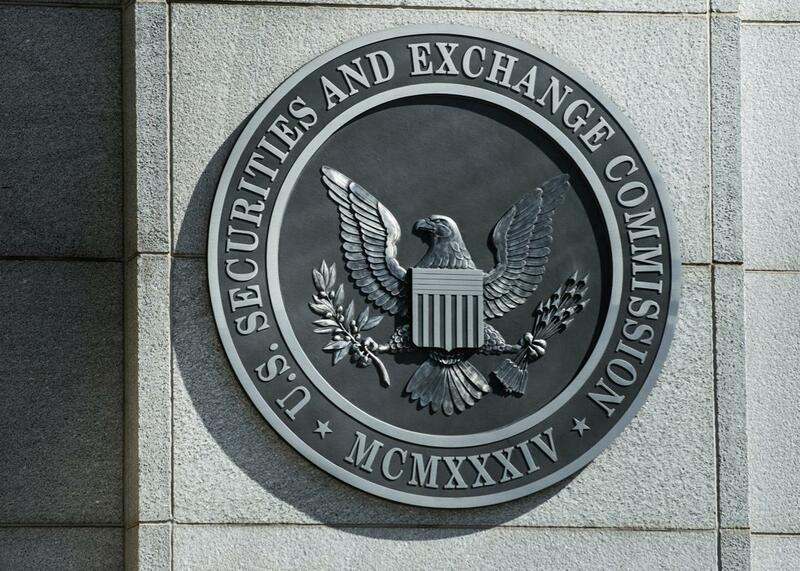 This week, the SEC’s new cyber unit announced it had filed its first ever complaint. Bitcoin value reached a new high this week, topping $12,000 for the first time, but otherwise cryptocurrencies have not been enjoying a banner PR season. For instance, there was the Nov. 1 Motherboard article “One Bitcoin Transaction Now Uses as Much Energy as Your House in a Week,” shaming wealthy bitcoin miners for their prodigious energy consumption and the toll their virtual currency is taking on the physical planet. The same day, the U.S. Securities and Exchange Commission warned celebrities about promoting cryptocurrencies. Soon after came a high-profile alleged theft of millions from an unauthorized bitcoin wallet. Then, this week, the SEC’s new cyber unit announced it had filed its first ever complaint, signaling that the agency is getting serious about regulating cryptocurrency enterprises. The complaint alleges that cryptocurrency firm PlexCorps defrauded customers and—more significantly—failed to follow rules for U.S. securities offerings. The latter charge in particular hints that the unsustainability of cryptocurrencies might be due to more than just carbon emissions. The SEC halted PlexCorps’ initial coin offering, or ICO, a sort of IPO-crowdfunding hybrid process by which companies looking to launch new cryptocurrency ventures raise capital. In return, people who invest are promised some number of the company’s digital “coins” instead of ownership shares. PlexCorps raised $15 million of investor funds from thousands of people who purchased PlexCoins or PlexcCoin Tockens—marketed by PlexCorps as “the next decentralized worldwide cryptocurrency”—since August, according to the complaint filed by the SEC. In doing so, the SEC alleges, PlexCorps defrauded its investors by making unrealistic promises that they would make anywhere from 200 percent to 1,354 percent returns—depending on how early they bought—in less than a month if all 400 million available PlexCoins were sold. PlexCorps’ website laid out those jaw-dropping return rates, claiming that the first 50 million PlexCoins would cost 13 cents each, the next 50 million would be priced at 28 cents, the next 100 million at 53 cents, and the last 200 million for 88 cents apiece. Immediately following the ICO, the website claimed, the value of a PlexCoin would be set at $1.76 and “from that date forward … the value should normally increase, as PlexCoin will be from that moment available on the open market.” So if you bought 1 million PlexCoins at 13 cents apiece in the first wave of customers, you would spend $130,000 for a guaranteed (kinda) payout of at least $1.76 million (or more!) after the presale ended. That would indeed leave you with 1,354 percent of your initial investment (can’t fault them on the arithmetic). But the SEC found no evidence that the firm was actually developing a cryptocurrency or had any real business plan. The SEC lays out several suspicious details in its complaint, including the company’s claim that the identities of its executives had to be “kept hidden to avoid poaching by competitors and for privacy concerns.” At least one of those executives, we now know, was Dominic Lacroix, whom the SEC describes as a “recidivist Quebec securities law violator” and who is named in the complaint along with his partner, Sabrina Paradis-Royer. Lacroix and Paradis-Royer allegedly used the proceeds of the PlexCoin ICO in part to fund home décor projects, according to the SEC complaint. (This despite the fact that the incredibly unspecific chart PlexCorps provided on page 48 of a white paper about how the presale funds would be used showed a proposed budget breakdown of 70 percent market maintenance, 10 percent development, 7 percent operations, 5 percent security, 5 percent marketing, and 3 percent legal costs.) PlexCoin “is and was a fraud aimed at enriching” Lacroix and Paradis-Royer, the SEC concluded. But the most striking piece of the complaint is not Lacroix’s outlandish claims about the projected returns for PlexCoin investors, nor is it even the fact that so many people believed him and willingly bought PlexCoins. It’s the SEC’s willingness to challenge ICOs and, by extension, cryptocurrencies, for being used to evade financial regulations. “To skirt the registration requirements of the federal securities laws, Lacroix has attempted to refashion the PlexCoin Tokens as a ‘cryptocurrency’ and likened them to Bitcoin. In reality, PlexCoin Tokens are securities within the meaning of the U.S. federal securities laws,” the complaint states. While cryptocurrency die-hards have long believed that their decentralized technology places them beyond the reach of government-run financial systems, it’s not a surprise that the SEC would view ICOs as being subject to its policies. In a speech last month, SEC Chairman Jay Clayton warned that “ ‘tokens,’ offered and sold in ICOs may be securities, and those who offer and sell securities in the United States must comply with the federal securities laws.” He also cited an SEC report released last summer about how financial regulations apply to “virtual” organizations “embodied in computer code and executed on a distributed ledger or blockchain.” That report followed on the heels of a much larger $150 million ICO by the Decentralized Autonomous Organization that was then hacked, resulting in the theft of more than $50 million of its funds. Lacroix is an easy and obvious target for the SEC—he has a long history of run-ins with Canadian financial regulators and went to great lengths to try to conceal his involvement with PlexCorps from officials. Even so, by going after Lacroix and patiently unraveling all of his attempts to hide his identity, tracing his ties to online financial accounts and cryptocurrency wallets linked to PlexCorps, and freezing the company’s assets, the new SEC cyber unit is signaling that it does not intend to let cryptocurrency ventures operate outside the law. The SEC’s message is intended to challenge cryptocurrency advocates who have embraced a technology that, in their view, liberates them from government-run financial systems thanks to its decentralization and anonymity. But those virtual currencies are often not quite so decentralized nor so anonymous as their owners imagine them to be, especially once the government decides to take an interest.